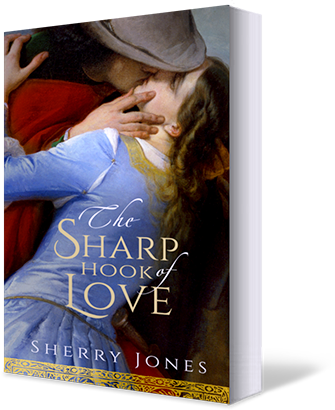 Oct. 7, 2014 – THE SHARP HOOK OF LOVE: A Tale of Abelard and Heloise debuts! Oct. 7, 2014 – Spokane release party for THE SHARP HOOK OF LOVE, 5-9 p.m., Sante Charcuterie and Restaurant’s Butcher Bar (next to Auntie’s Books), 404 W. Main Ave., 509-315-4613. Music, readings from the book, medieval costumes, giveaways, free champagne for book buyers, meet the author, and more! Free and open to the public. Oct. 19, 2014 – Sherry signs books at the “Take Back Your Life” Expo observing Violence Against Women Day, 11 am.-5 p.m. in Spokane’s Lincoln Center, 1316 N. Lincoln St., Spokane. 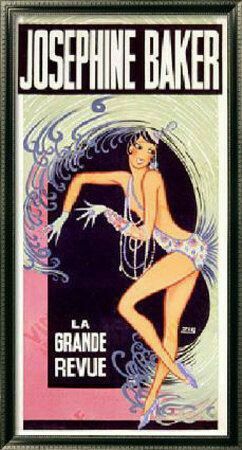 Oct. 21, 2014 – Auntie’s Annual Fandango, Auntie’s Books, 6:30-8 p.m., 402 W. Main Ave., 509-838-0206. 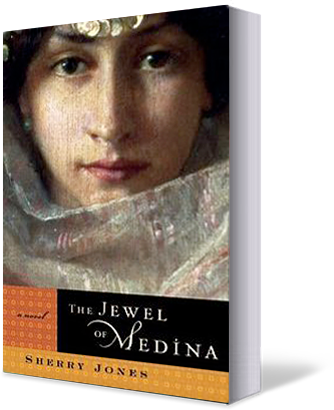 Sherry and other authors present “How to Use My Books in Your Book Group.” Free and open to the public. Nov. 7, 2014 – Reading and book signing, THE SHARP HOOK OF LOVE, Fact and Fiction Bookstore, 5:30 p.m., 220 N. Higgins Ave., Missoula, Montana, 406-721-2881. Free and open to the public. Nov. 21, 2014 – Reading and book signing, THE SHARP HOOK OF LOVE, Auntie’s Books, 402 W. Main Ave., 509-838-0206. Free and open to the public. Heloise d’Argenteuil is a brilliant scholar, and Pierre Abelard is a philosopher whose work titillates all of Paris. When Abelard is hired to tutor Heloise, it’s the beginning of an all-consuming and forbidden love affair that could cost them everything. So begins an epic romance based on the original letters between the famous 12th-century lovers. While their love flares and burns like a fabulous Roman candle, they are pitted against the strict rules of Parisian society, a wrathful uncle and their own teeming ambitions. They cling together in a world that insists on tearing them apart, yet even as their desire for each other continues unabated, the cost of being together takes its toll, with drastic consequences for both of them. 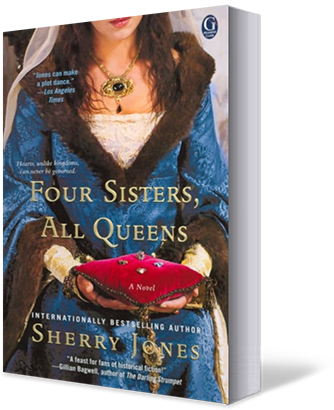 Jones (Four Sisters, All Queens, 2012, etc.) 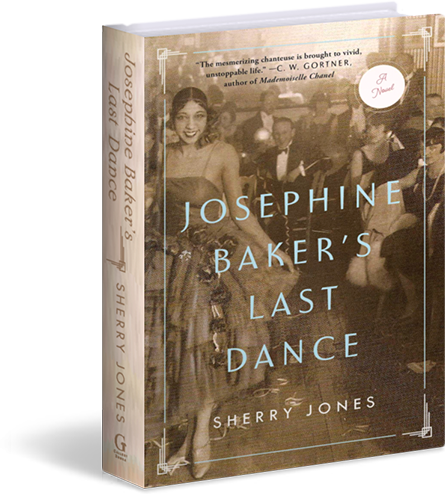 weaves history and passion in a tale full of emotional heft that questions what it means to truly love someone. At times her writing is overly lush, and she focuses on painting a maelstrom of emotions rather than building up the events that created those emotions. Abelard and Heloise are rushed into a courtship before the reader has a firm understanding of who they are, yet Jones’ characterization is complex and subtle. In the way of all lovers who love without knowing if they have a future together, Abelard’s and Heloise’s motivations keep changing, leaving the reader wondering what will happen next. Readers will push to the end determined to find out if there never was a tale of more woe than that of Heloise and her Abelard, or if, for once, true love is able to triumph over everything that would see it destroyed. 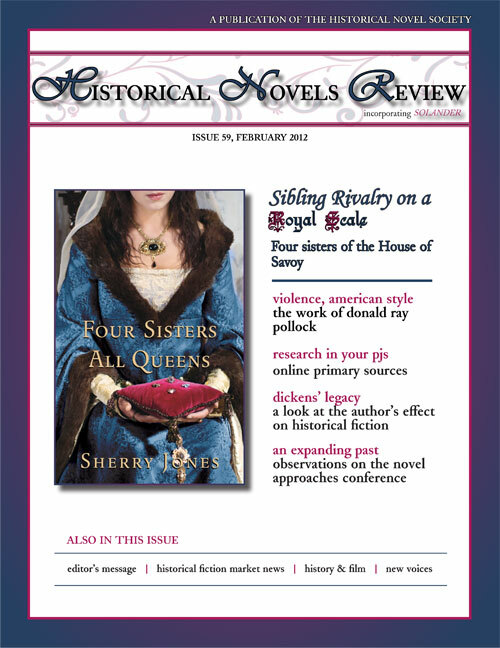 RT Book Review gives its highest rating — four stars out of a possible four — to FOUR SISTERS, ALL QUEENS.